NEW YORK, NY (May 11, 2015) – It’s official!! 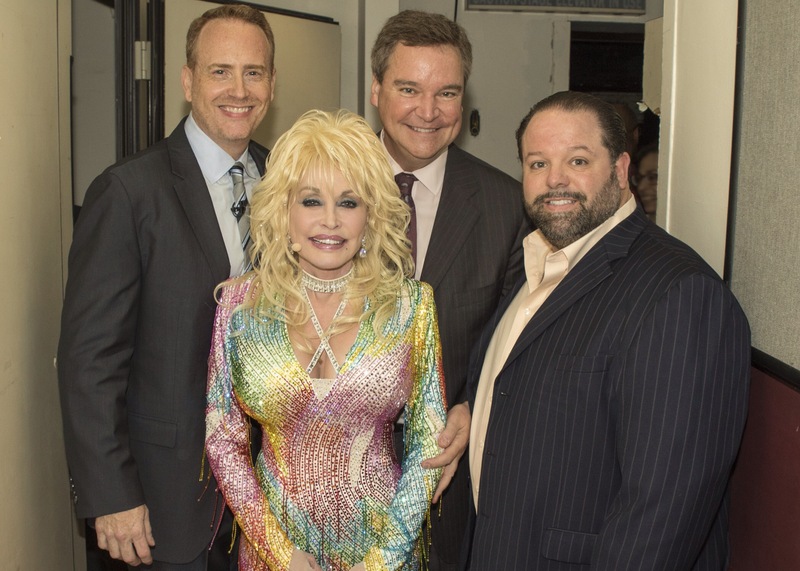 During the NBC Upfronts in New York City this morning, where Dolly Parton made a surprise appearance, word came that NBC has greenlit the first original movie under its development deal with the music Icon, actress and songwriter. Coat of Many Colors, named after Parton’s song, will be based on Parton’s upbringing, with the Parton serving as executive producer. The original coat is now on display in Parton’s Chasing Rainbows Museum at Dollywood in Pigeon Forge, TN. NBC’s deal with Parton, announced in January, includes a series of standalone TV movies based on Parton’s songs, stories and life. They will contain music but won’t be musicals, with Parton possibly appearing in some. Parton is developing the projects with production partner Sam Haskell of Magnolia Hill Entertainment and Warner Bros. Television. Coat of Many Colors is part of NBC’s slate of event programming for next season, which also includes previously announced The Reaper, a miniseries based on the best-selling memoir by Sgt. Nicholas Irving, a decorated African-American sniper who was deployed in Afghanistan for 100 days, and holiday musical The Wiz Live!. This entry was posted in Press Release and tagged Coat of Many Colors Movie, Danny Nozell, Dolly Parton, NBC, New York by dollyfan. Bookmark the permalink.